We are only a week away from the avalanche of discovery that will unfurl at the 2015 Sundance Film Festival, so let me give you a heads up on everything Latino. First, a slew of qualifications, caveats and disclaimers; I like to differentiate between U.S. born artists of Latino heritage and international artists. Second, keep in mind “Latino sounding last names” does not indicate who is Latino behind a film (and a Latino sounding last name does not necessarily indicate that person identifies as Latino and or tells Latino stories). I mention this to emphasize Latino identity is often subjective and always complex. Lastly, these are not reviews or spoilers but a quick reference for those interested in tracking emerging Latino talent and topics. Perhaps more ubiquitous to spot are the Latinos in front of the camera; J-Lo plays Lila opposite queen bee Viola Davis in Lila and Eve. John Leguizamo has a role in The Experimenter, the late Elizabeth Peña has a wicked cameo in Grandma opposite Lily Tomlin. Tony Revolori (Grand Budapest Hotel) plays the Latino kid in Dope. Scott Mescudi is Christopher Abbot’s friend in James White. Exciting acting debuts to watch out for include Kitana Kiki Rodriguez in Sean Baker’s pulsing Tangerine and Robert Lorrie in The Strongest Man by Kenny Riches, both in the indie gem Next section. There are eight films that have Latino subjects. Two films in U.S. 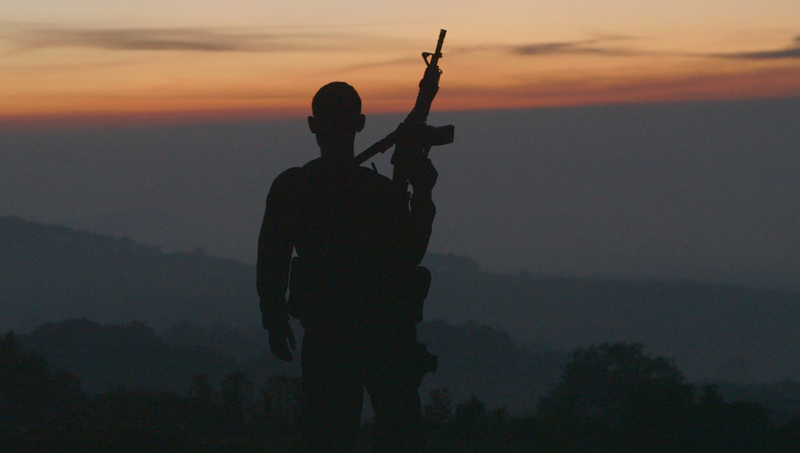 Documentary Competition are about the U.S./Mexico border, which makes me very happy (not the anguishing realities portrayed in the films but the fact that Sundance recognizes the urgency of the conversation and supports these filmmakers novel perspectives in tackling the complexities of the ongoing drugwar. Alfonso Gomez-Rejon in the U.S. Dramatic Competition with Me, Earl and the Dying Girl. This successful television writer has been quoted about his bordertown childhood; “Laredo is in my DNA, as much as Nuevo Laredo (Mexican state across the border) is in my DNA”. Kyle Alvarez who has Cuban roots, is at the festival with his third feature, The Stanford Prison Experiment. In the shorts program we got Reinaldo Green with the powerful Stop, Ryan Gillis with animated short film Palm Rot and Ronnie Rivera and Bernardo Britto are the co-directors of The Sun Like a Big Dark Animal. Rodrigo Garcia – The Colombian born Mexican long time LA resident is back in Premieres with Last Days in the Desert shot by Mexican Oscar winner DP Emmanuel Lubezki (Gravity). 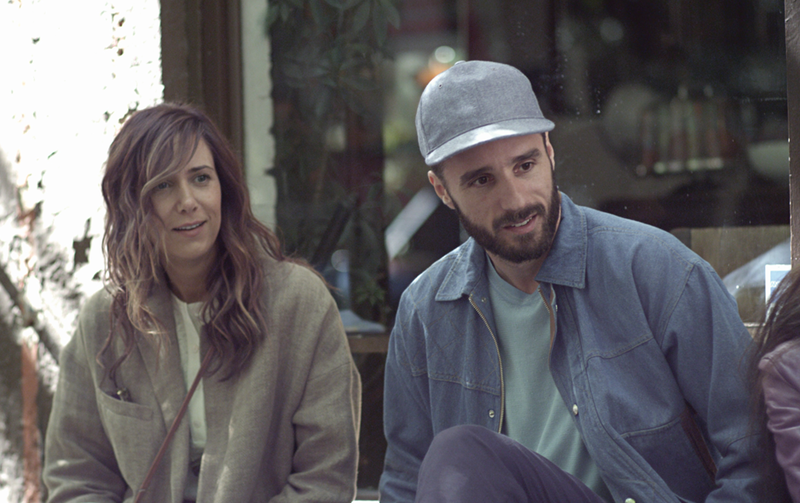 Sebastian Silva from Chile based in NY returns with Nasty Baby featuring another juicy dramatic performance from Kristen Wiig following last year’s Skeleton Twins. Claudia Llosa from Peru wrote and directed Aloft starring Jennifer Connelly and Cillian Murphy which premiered at last year’s Berlin Film Festival. J.M Cravioto makes his English language and fiction narrative debut with horror midnight movie, Reversal. 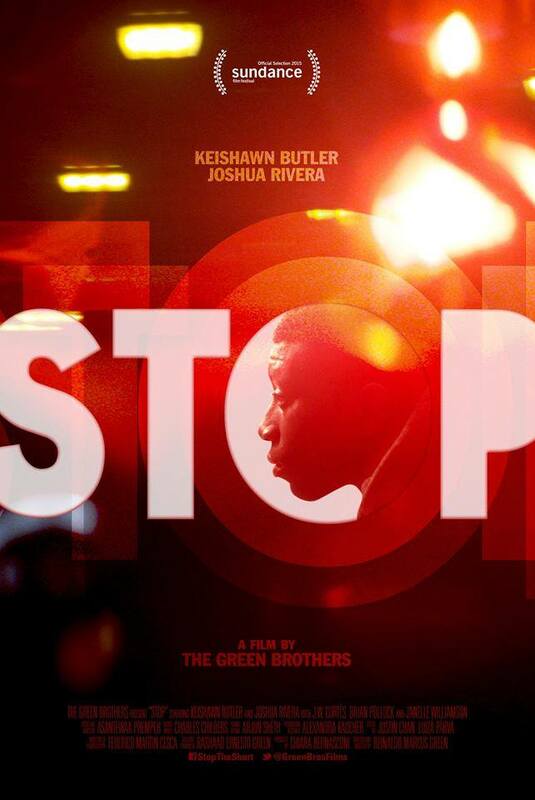 It’s worth noting not one of these films feature Latino actors with the exception of Silva who stars in his film, and Reinaldo Green’s Stop. And I will take a step further to comment those films do not have a storyline that reflects a Latino experience (I know, we can debate what qualifies as a Latino experience). Mimi Valdes – the former editor of Latina and Vibe Magazine and now creative director of Pharell Williams’ multi-media company is a co-producer on Dope with Nina Yang and Forest Whitaker (Fruitvale). Felipe Marino of Occupant Entertainment produced creature feature, The Hallow. Named “Producer to Watch’ by Variety, the U.S. born of Colombia descent producer previously brought The Wackness to the 2008 Sundance Film Festival. The Borscht Corp powerhouse are behind shorts Papa Machete shot in Haiti and the previously mentioned, The Sun Like a Big Dark Animal. Nicolas Lopez (Aftershock) co-wrote Eli Roth’s Knock Knock starring Keanu Reeves showing in Midnight. Mexican cinematographer Lorenzo Hagerman shot Rick Alverson’s Entertainment. Western by Alex and Turner Ross. If you saw their previous film, Tchoupitoulas you are familiar with their beautiful, observational and visceral style. Motivated by finding the real iconic cowboys of the dusty old frontier, these two consider this part of their American trilogy. The Wolfpack by Crystal Moselle – Its best if you know nothing going in and I will wager that this one will be one of the most talked about films at the festival. I will only mention the pack are the children of a Peruvian man. The Strongest Man –The lead character’s thoughts and voiceover is uttered in Spanish throughout the film. Royal Road by Jenni Olson talks about the Mexican land before it became the United States. Paris is Burning by Jennie Livingston –celebrating its 15th anniversary a special Collection screening of the film will take place on January 26 at 3pm at the Egyptian. Love love love this film. The House of Extravaganza was one of the first Latino/a Harlem balls. RIP Angie and Venus. 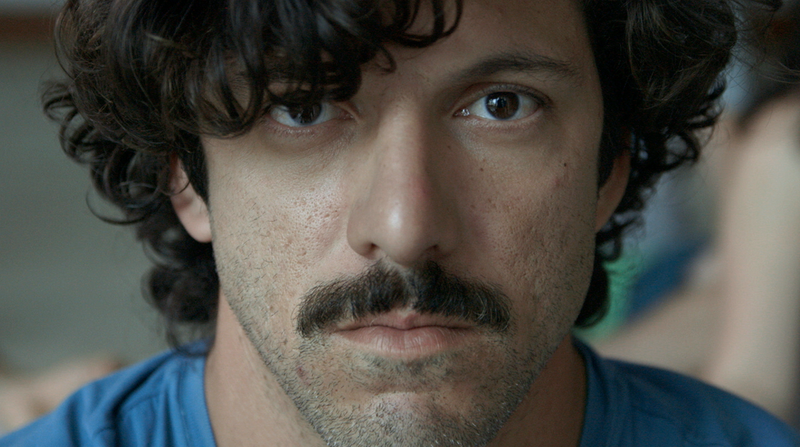 Making it in America by Joris Debeij is a short film about a Salvadoran immigrant in Los Angeles. Short film, Spring from Mexico which played at the Morelia Film Festival by Tania Claudia Castillo. The Games Maker by Juan Pablo Buscarini in the Sundance Kids section is from Argentina. And a MUST-EXPERIENCE at the New Frontier is virtual reality film Assent by Oscar Raby a Chilean who lives in Australia. Description: In 1973 my father witnessed the execution of a group of prisoners captured by the military regime in Chile, the same Army that he was part of. Assent puts the user in my father’s boots as we walk to the place where that happened. And lastly, presenting short films in the Sundance Institute Short Film Challenge for the Bill and Melinda Gates foundation are alumni Marialy Rivas, the hip director from Chile of Young and Wild, and actor/filmmaker Diego Luna. Cuauhtémoc Cárdenas Solórzano, or The Engineer as he is reverentially called, is a stalwart modern day politician, whose distinguished family (Think Kennedys) includes his father, Lazaro Cárdenas (President of Mexico, 1934-1940), and son Lázaro Cárdenas Batel, former governor of Michoacan. Cárdenas Solórzano is a three time presidential candidate and beloved PRD (Party of the Democratic Revolution) moral leader who in this electoral year is a big supporter of the party’s candidate, Andrés Manuel López Obrador (Obrador’s second presidential bid following the highly disputed 2006 election in which supposedly a .56% margin marked his defeat against Felipe Calderón ). 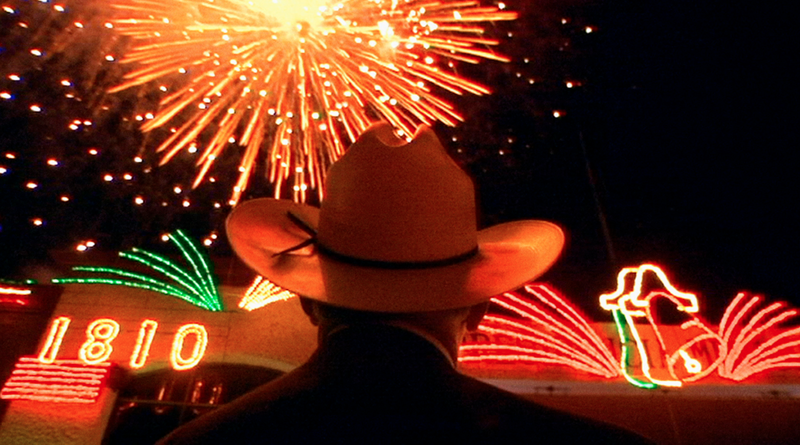 In El Ingeniero, filmmaker Alejandro Lubezki shares the unprecedented access granted him and gives us an intimate, fly on the wall doc, shot during Cárdenas infamously last, arduously fought attempt in 1999 to wrangle power from the dominant PRI (Institutional Revolutionary Party) in the 2000 election year. It is well known that in his previous 1988 run, blatant fraud prevented Cárdenas from rightfully taking presidency. We also know how it ended in 2000; According to most sources (with TV Azteca giving the highest, 9 point margin), only a few points separated PANista Vicente Fox Quesada and Cárdenas. Fox emerged the winner, even though in the public perception it seemed he had all but squandered his early gains in the polls. The idea to follow Cárdenas was instigated in part by Alejandro’s older brother Emmanuel Lubezki (Oscar nominated cinematographer of Tree of Life) who had not lived in Mexico for years. 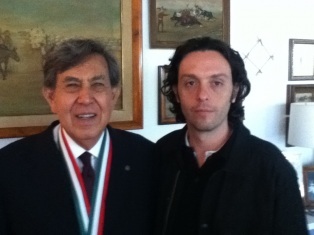 Surprised that nobody was making a film about Cárdenas, Alejandro himself asked for a meeting, proposed the documentary directly with The Engineer, and a handshake and few days later, was authorized the incredible access and began rolling. As heard at the Q&A of the world premiere at Ficg27, Alejandro took approximately 300 hours of footage, which then took him about that much time to edit into the story onscreen – notwithstanding the twelve years from since it was shot. The camera literally squeezes into the political strategy and image-making sessions that shows Cárdenas’ ardent camp of intense and genuinely, frank political advisors agree and disagree on how to make a president, bearing witness to the sweaty behind the scenes process. Securing the right PR agency, approving photos (“Not that photo Ingeniero, you look like Subcomandante Marcos”), and the exhausting efforts of intervening the media’s powerful influence, forms the first part of the film. Traveling day and night to beautifully Nahuatl named towns hardly heard from, Cárdenas appears to be a man of the people. Although at first Cárdenas seems somewhat rigid if not overly stoic. Soon however, what we learn is his characteristically quick-witted humor emerges. When we finally get to see him mad, we agree with his wife who points it out plainly; he asserts a stronger presence. Indeed it’s not until then we see him verbally swing back against Fox that he appears to gain upward traction. In a memorable sequence that testifies to the most surreal only-in-politics world, we watch the three political candidates debate about when to have a debate. Fox’s asinine ability of not yielding to rationale turns him into a four year old as he throws a public tantrum that the debate must take place that very same day – Cárdenas hitting his stride, chimes in; ”Don’t worry I trust you won’t forget what you prepared for today by Friday”. That’s not to say Fox is ostracized entirely in the film. We also witness his sense of humor (it’s a big Mexican thing), and hear him give credit and thank his worthy opponent more than once. After all both parties sought to defeat el PRI, so the win to a certain extent was shared. Lubezki’s Director statement says the film’s intent was not to show nor cater to the public’s desire to see the scandal and corruption inherent in the treacherous political machine, but to show the arduous campaign process and the authentic character of Cárdenas. And so, by eschewing the cynicism and distrust surrounding politics that we ourselves tend to perpetuate, he astutely, perhaps subversively infers a positive and encouraging tone, very timely given this election year. As long as there are political leaders like El Ingeniero, it’s crucial to not fall defeatist and avoid the ‘My vote doesn’t count’ stance. Now I’m not that well informed on Mexico’s political landscape so I imagine there must be content here that goes over my head, and that invested people might get more political juice out of it. I’ll leave that to the pundits and experts to glean. What’s not lost on me however, and what points to the film’s ability to transcend its specific political reference and country, is the damn herculean strength, passion and tenacity required to run for office, the epic scale of mobilizing a presidential campaign, and most interestingly, the ongoing wage of power between today’s grassroots triumphs and losses over big money controlled political interests. At the end of the film we see “the moment” has arrived. The campaign team which has exausted blood, sweat and tears, watches in agony as the omnipotent media makes its suspect exit polls and projections showing Fox celebrating his win ahead of the official confirmation. It is nothing short of infuriating and profound disappointment. Yet as testament that leadership is in his DNA, Cárdenas eloquently turns the energy around by standing up and shaking everyone’s hands to thank them for their trust and support. As he makes the rounds, a strong applause swells. The clapping does not die down but only gets louder as he continues to work the room, warmly showing his gratitude and promising all of us that “La Lucha is far from over. A definite highlight of the Mexican Documentary Competition in this year’s Guadalajara Film Festival, I hope El Ingeniero travels far and wide this year. For more information and to read the Director’s statement click here (yes, its in Spanish).